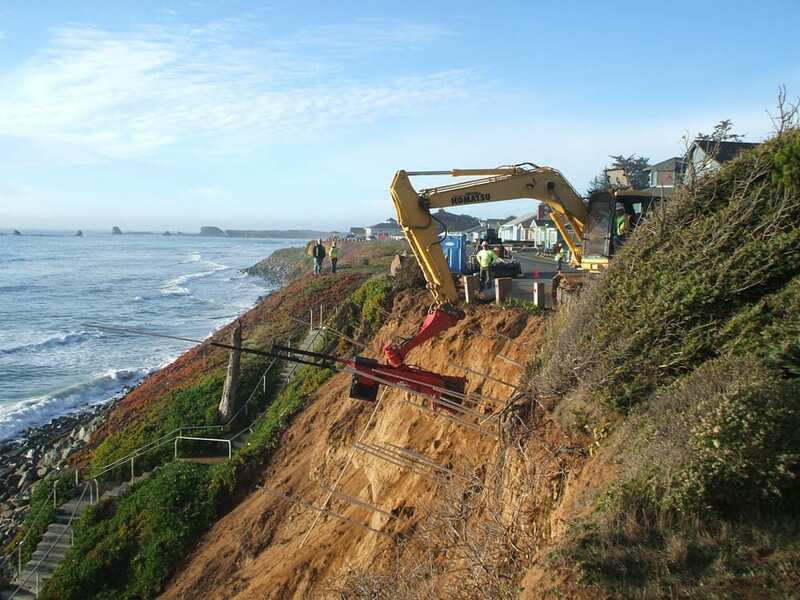 GeoStabilization International®‘s tools and techniques are uniquely suited for coastal and riparian zones. In extremely corrosive environments, launched fiberglass soil nails and fiberglass SuperNails™ can be used. These nails can be perforated to act as drains or pressure grouted with cementicious or non-cementicious materials to improve soil properties in the nail zone. 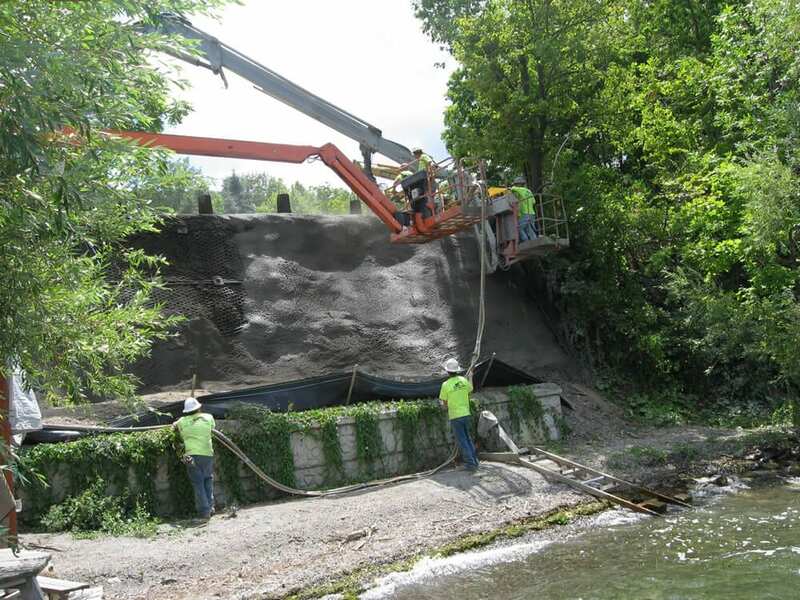 Because our work typically is conducted from above, damage to sensitive areas can be avoided, and some regulatory permits may not be required. 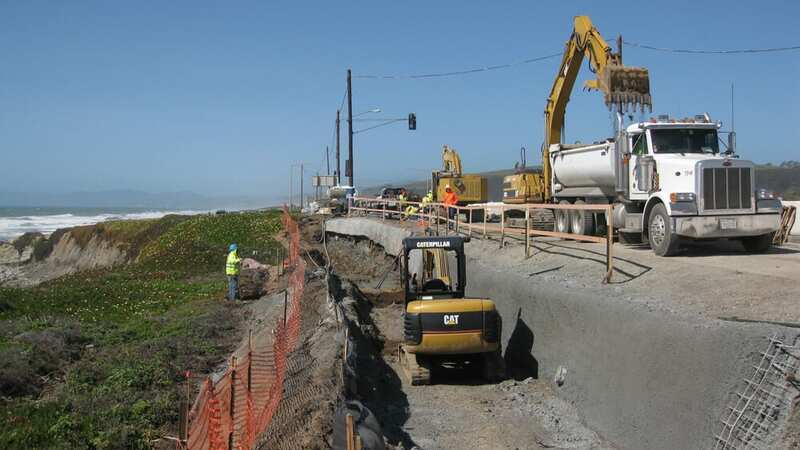 Once the riparian or coastal area is stabilized, a variety of surface treatments can be installed, from sculpted and stained shotcrete to bioengineered facings. 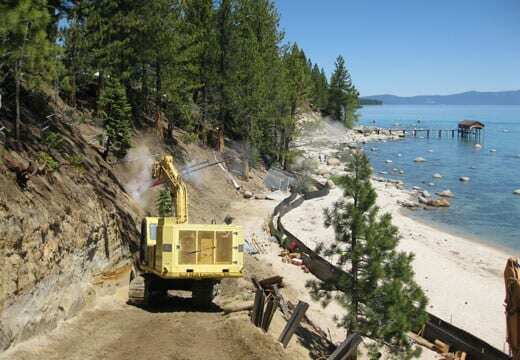 These techniques also can be applied to levees and reservoir embankments. 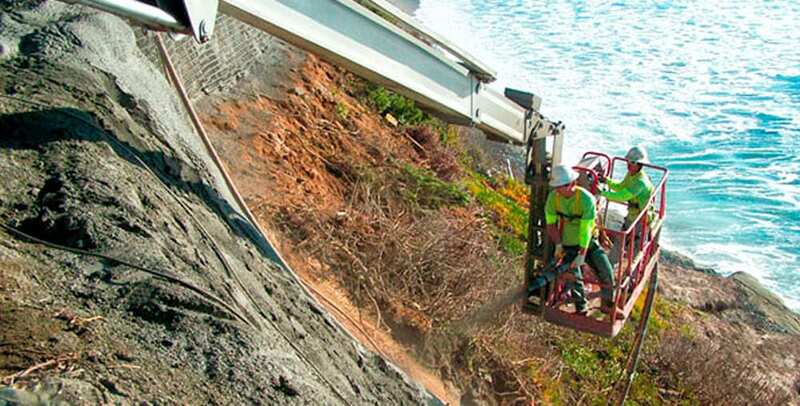 At most sites, our access will be from above with no impact to the coastal or riparian areas. However, our highly maneuverable and lightweight equipment allows us to navigate ocean, lake, or river only access sites using a variety of amphibious craft.